NIMHANS Recruitment 2019 - Job notification for Lab Technologist Post on a project entitled “HIV-1 Viral Load” in NIMHANS, Benguluru, Karnataka on Contract Basis. 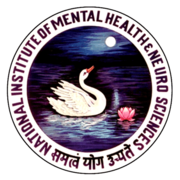 Applications are invited by National Institute of Mental Health and Neurosciences (NIMHANS) on or before 23 Feb 2019 for 1 vacancy. Bachelors degree in Medical Laboratory Technology.